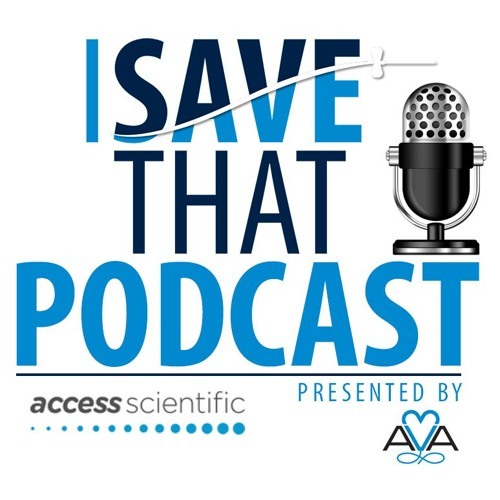 Episode 5 of Season 2 of the ISAVE That Podcast – sponsored by Access Scientific – brings Dr. Rahul Pathak and Michelle DeVries, MPH, CIC, VA-BC™ into the fray to break down a recent AHRQ report that demonstrates how vascular access is an important arm of infection prevention, open up a discussion on device policies and procedures and much more! 0:00-0:30 A word from Episode 5 sponsor Access Scientific 0:45-2:35 There is A LOT going on with AVA! Judy, Ramzy and Eric break down an incredibly busy month of March. 2:54-40:10 Hello, Dr. Pathak and Chellie! Calling in from sunny Orlando, Florida, where Dr. Pathak practices, he and Chellie discuss the recent improvements in CLABSI rate and highlight how they navigate things at their healthcare institutions. Where do central lines and midlines fall? How do we continue to reduce infections moving forward? 40:14-41:33 Upcoming AVA network events. This spring will be busy!